Home to many boat enthusiasts, Cape Coral is a city of saltwater and freshwater canal homes and condos. Boaters enjoy the calm clear waters of the Gulf of Mexico and the white sandy beaches. And it’s the Cape Coral waterfront homes, condos, and parks that attract so many newcomers. 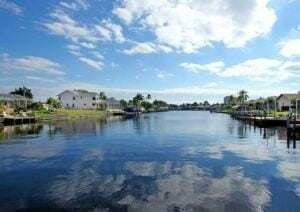 The miles of waterfront in Cape Coral is the primary reason that CNNMoney voted Cape Coral FL one of the best places in the nation, earning the #2 spot out of 25. Year over year, Cape Coral consistently ranks as one of the safest cities in Florida. And AOL Finance ranked the city as the 17th safest in the entire United States. Additionally, Forbes, Money Magazine, Movoto, and Bankrate have all ranked Cape Coral in their “best of” lists. 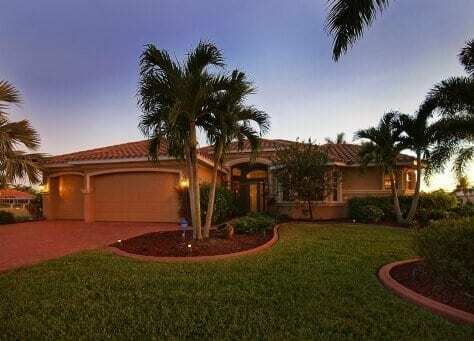 Most people buying Cape Coral real estate now are not ready to retire, but are purchasing Cape Coral homes or condos now while the prices are low and setting up a vacation home to enjoy now, for retirement later. Wise move. 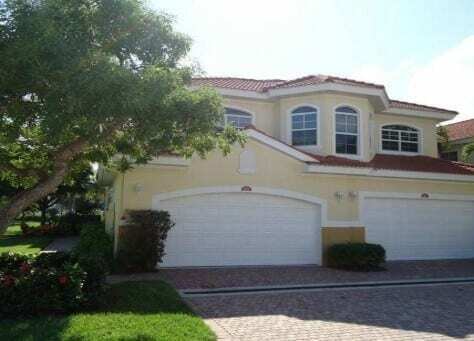 With many years of experience in Cape Coral real estate, we also know it’s the affordable property, a balmy climate and one of the lowest crime rates in the state of Florida that is attractive. Homeowners on Cape Coral’s 400 miles of waterfront canals enjoy the use of boats docked in the waterways bordering their properties. Cape Coral canals also help residents avoid flood damage during the rainy season. Many people ask what the waterfront living is like in Cape Coral, so on this trip we took photos of Cape Coral canal homes along the way to create a “virtual tour” of our canal system in south Southwest Cape Coral (also known as Unit 64). 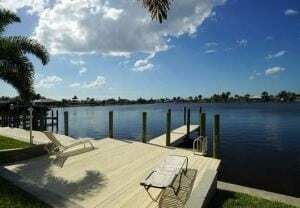 View this slide show to get a flavor of living the waterfront lifestyle in beautiful Cape Coral Florida and what Cape Coral Real Estate has to offer. In Cape Coral, it’s all about the backyard! Watch the Cape Coral Canal Home Tour Now. Cape Harbour in Cape Coral is a thriving yachting community. Gorgeous luxury homes and condos are complimented by a deepwater, saltwater marina, boutiques and art galleries, fine and casual dining, live outdoor concerts, car and boat shows, holiday events and more. The 5 star Rumrunner’s restaurant is well known throughout Southwest Florida. Browse Cape Harbour homes and condos for sale now. A masterpiece of resort-style living, and home to Cape Coral’s Westin Resort, Tarpon Estate is a gated enclave of private homes on a saltwater waterways. The community also offers elegant apartments in three high-rise condominiums overlooking Tarpon Point Marina in Cape Coral. Each luxury building features 12 floors of 3,000 sq ft homes. Fine and casual dining, art galleries, live music, deep water marina and more await! 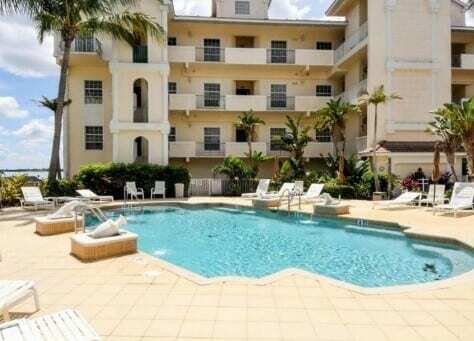 View current Tarpon Point Homes and Condos for sale. Casual boaters, casual fishermen, die-hard anglers, sailors…. 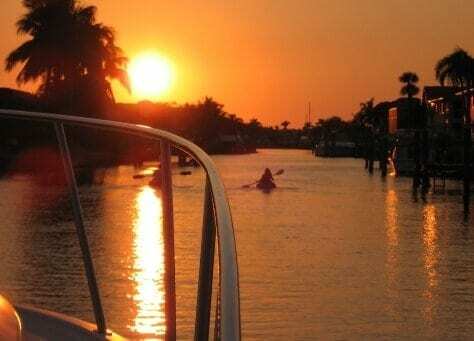 anyone that loves to be on the water loves having their boat in their backyard in Cape Coral. Read about Cape Coral Real Estate on the Waterfront and the local waterfront lingo such as Gulf Access, Sailboat Access, and Direct Access. View this canal tour and see some beautiful waterfront homes in Cape Coral, as well as some fun photos taken when we arrived at Cape Harbour. This tour was taken in Southwest Cape Coral on the saltwater canal area known as “Unit 64” which is south of Cape Coral Parkway and east of Chiquita Blvd. 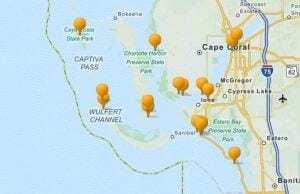 View our interactive map of Boating Destinations in Cape Coral and other areas of Southwest Florida and read about the restaurants, bars, parks, shopping promenades, and beaches that are just a short cruise away. Read more about Cape Coral and things to do in Cape Coral. And learn more about things to do in Cape Coral at the Parks and Recreation web site, including these videos of the Cape Coral beach at the Yacht Club. Read our answers to Cape Coral FAQs here. Watch this video montage of beautiful south Cape Coral here. Browse Cape Coral homes for sale on the waterfront by price range in Cape Coral zip code 33914. Browse Cape Coral homes for sale that are on Gulf Access canals (one or more fixed bridges) in zip code area 33914. 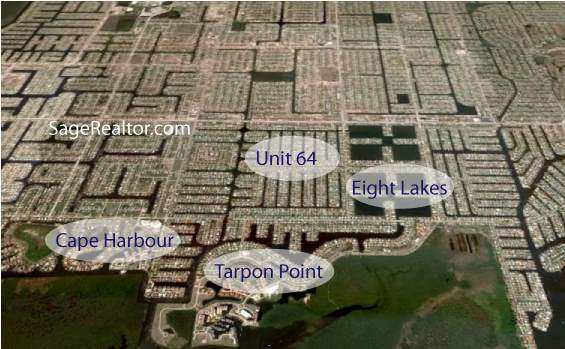 Browse Cape Coral condos for sale that are waterfront in zip code 33914. 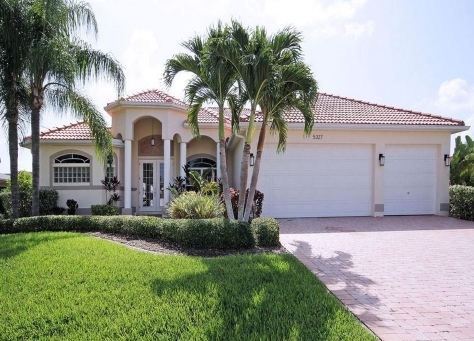 Browse single family homes in 33914, Southwest Cape Coral. 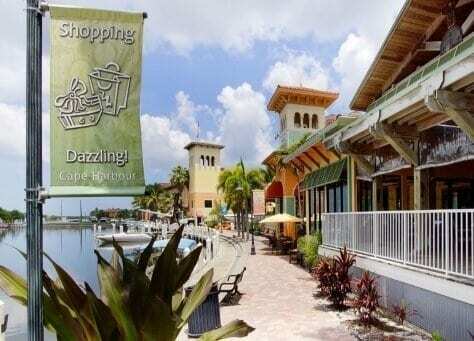 Browse Cape Coral condos and townhomes that are not on the water in zip code 33914. 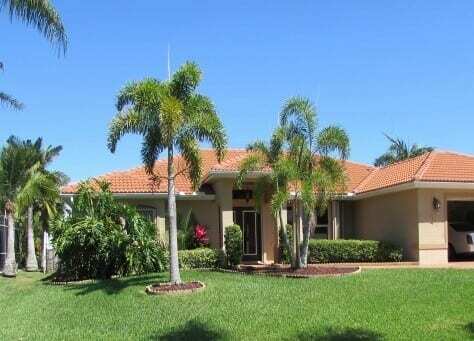 Browse Cape Coral homes on golf courses by price range in zip code areas 33991 and 33993. 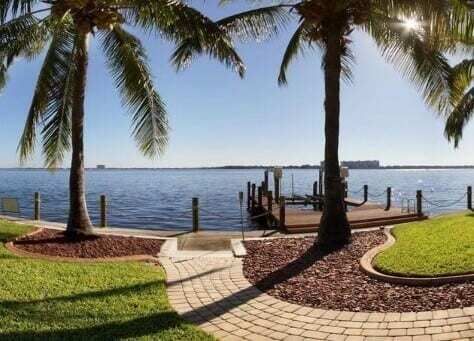 Browse direct access waterfront homes in Cape Coral (no bridges) in zip code 33904. 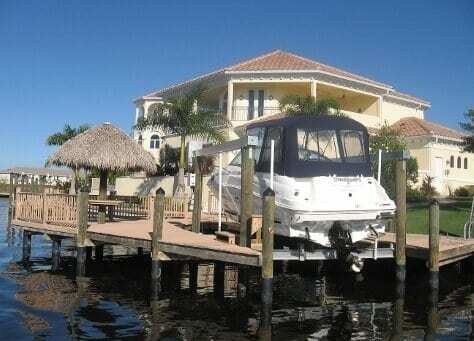 Browse gulf access waterfront homes in Cape Coral (one or more fixed bridges) in zip code 33904. 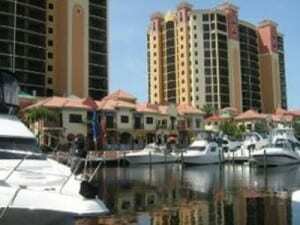 Browse waterfront condos in Cape Coral in zip code 33904. Browse Cape Coral homes that are not on the water in zip code 33904. Browse Cape Coral condos that are not on the water in zip code 33904. The sprawling community of Cape Coral lies on the northwest side of the Caloosahatchee River and includes 115 square miles of land area, only about 35 percent of it developed. The city of Cape Coral, Florida emerged in Southwest Florida during the late 50’s and 60’s, mostly as wetlands and has now grown into Lee County’s fastest growing city, as well as one of the safest cities in the nation. City officials estimate that the Cape’s current population is more than 150,000. Many of these residents are part time snowbirds that have purchased a winter get-away in this sunny city. Cape Coral extends from the mile-wide Caloosahatchee to the wetlands on Pine Island Sound. 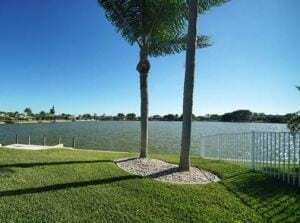 Homes for sale in Cape Coral run from the $100,000s to more than $6 million. The average home price is about $300,000. And it’s more than just a retirement haven. The average age in Cape Coral is in the 40’s. The student population is growing at 5 percent annually. Wondering what your Southwest Florida property is worth in today’s market? Ask the Sage! Complete our valuation form and we’ll get you a comparable market analysis. Wondering about different neighborhoods in Cape Coral? Cape Coral has a unique way of describing various communities or sectors of the city and for those looking to purchase a home in Cape Coral, it can be daunting at first. 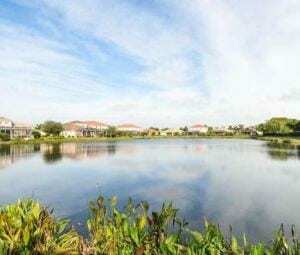 Here’s an overview of popular neighborhoods in Cape Coral with links to current listings of homes and condos for sale. Cape Harbour is a waterfront community in Southwest Cape Coral along the Caloosahatchee River (zip code 33914). Real Estate in Cape Coral’s Cape Harbour is a mixture of condos and single family homes. 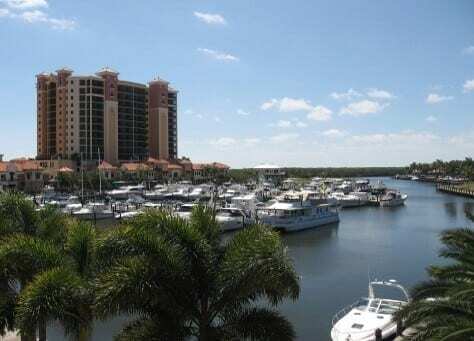 Marina South in Cape Harbour is comprised of two high-rises with expansive views looking toward Sanibel, Cape Coral and the Cape Harbour marina. Marina View in Cape Harbour is a low-rise condo complex overlooking the deep water marina. 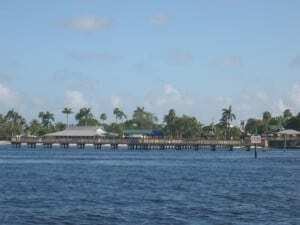 Cape Coral’s Tarpon Point is a waterfront community along the Caloosahatchee River in Southwest Cape Coral (zip code 33914). The community has a deep water marina with slips available for lease. Also within the community is the Westin Resort, the Nauti Mermaid waterfront grill, the Marker 92 fine dining restaurant, and a promenade of shops and other dining options bordering the marina. Vacant land in Cape Coral range from $5,000 in the outlying areas to $60,000 for “dry lots” to $400,000 for sailboat access waterfront lots in prized areas of South Cape Coral. 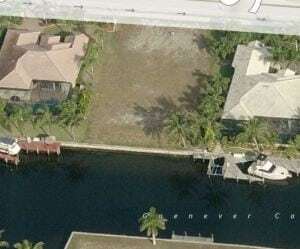 Sailboat Access vacant lots in Cape Coral that are in high demand areas (close to Cape Harbour, Tarpon Point, and along the river) are fetching $600,000 to $1,000,000. Learn about key considerations for buying Gulf Access lots in Cape Coral. If you are thinking about building a new home, view our Case Study on new home construction. It’s a great story! Additionally, purchasing a vacant lot now, while prices are still low, is a great option for people who eventually plan to retire or move to Cape Coral. For example, buy a waterfront lot now with plans to build later, with the safety-net “plan B” option of being able to sell the land later if retirement or move plans change, all the while realizing appreciation on the property.